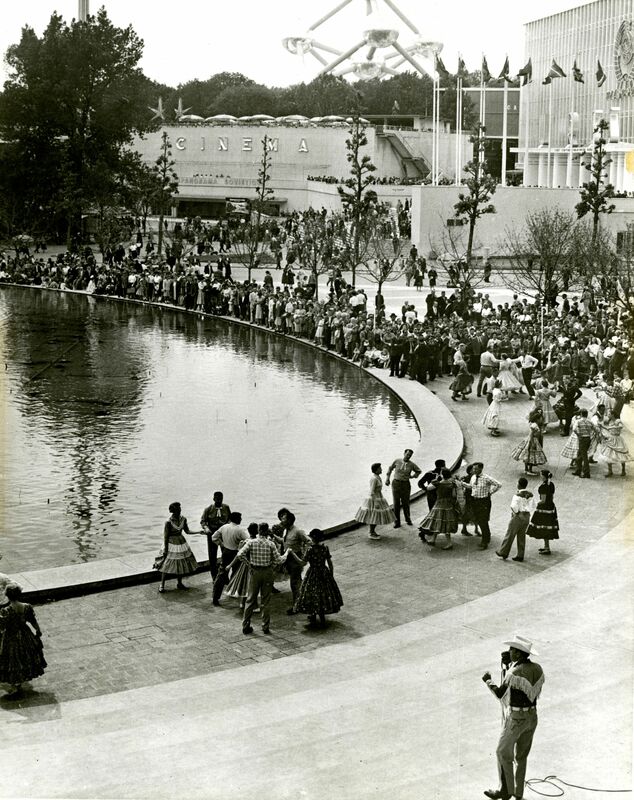 Caller Cal Golden performing at the 1958 World's Fair in Brussels, Belgium. He was featured 18 times during that event. The other two photos are publicity photos of Cal Golden, taken lated than 1958. 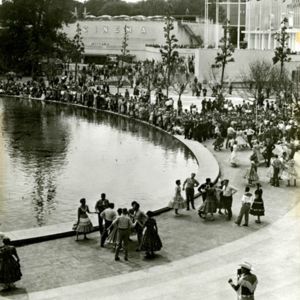 “Cal Golden calling at the 1958 World's Fair,” Square Dance History Project, accessed April 24, 2019, http://squaredancehistory.com/items/show/1816.